Wicked is the enchanting musical by Winnie Holzman and Stephen Schwartz which has been capturing the hearts of audiences around the world. 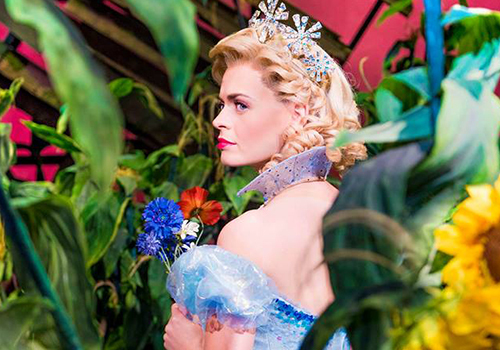 A magical retelling of the land of Oz, Wicked tells the story of The Wizard of Oz as you have never heard it before. Since opening on Broadway in 2003, the musical has travelled around the world and is celebrating over 12 years in the West End. Following Elphaba, an aspiring young witch who is unfortunately very green, Wicked is the ultimate tale of friendship, love and acceptance. Inspired by Gregory Maguire's 1995 novel of the same name, the musical follows Elphaba as she begins school and meets fellow aspiring witch Galinda. Struggling to fit in because of her peculiar appearance, Elphaba's powers soon begin to spiral out of control. As Elphaba and Galinda join together, they soon begin to learn that everything in the land of Oz may not be as it seems. 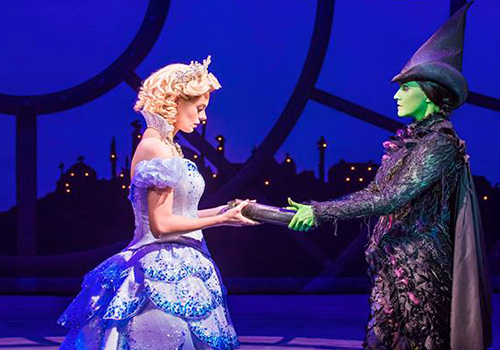 When the animals begin to lose their voice, Elphaba decides that she must take action. A Tony, Olivier and Grammy Award-winning musical, Wicked has featured countless stars in the lead roles, including Kerry Ellis, Idina Menzel, Rachel Tucker, Louise Dearman, Emma Hatton and Willemijn Verkaik amongst many others. 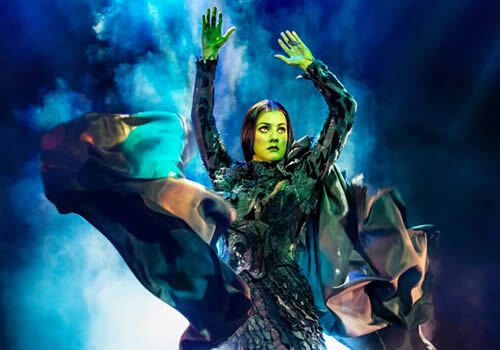 Wicked's current cast includes Alice Fearn as Elphaba, Sophie Evans as Glinda, David Witts as Fiyero, Melanie La Barrie as Madame Morrible, Andy Hockley as the Wizard, Rosa O'Reilly as Nessarose, Jack Lansbury as Boq and Chris Jarman as Doctor Dillamond. From 22 July, Alistair Brammer (Miss Saigon, Les Miserables) will take over the role of Fiyero. 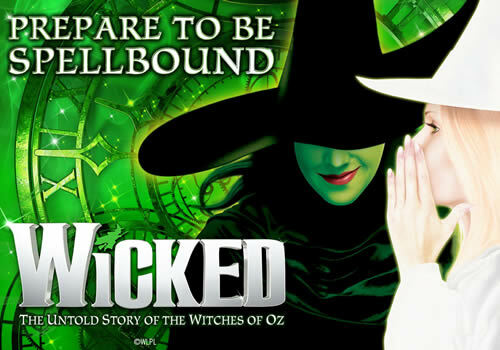 Featuring a score that is celebrated around the world, Wicked includes songs such as "The Wizard and I", "Popular", "No Good Deed" and the show-stopping "Defying Gravity" amongst many others. Directed by Joe Mantello, Wicked is staged by Wayne Cilento, with design by Eugene Lee and Susan Hilferty, lighting design by Kenneth Posner and sound design by Tony Meola. 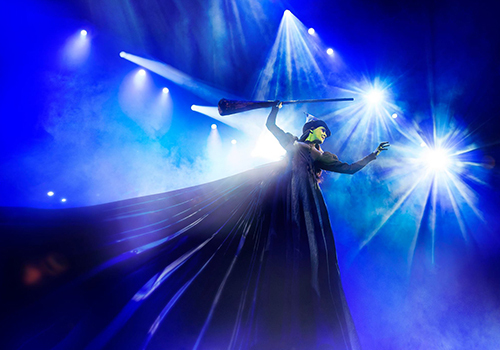 Wicked plays at London's Apollo Victoria Theatre and shows no signs of flying away any time soon! Children of 7 years old and above will love this show! Some scenes could be slightly scary for those under the age of 7 and children under the age of 3 will not be admitted into the theatre. Children under 16 must be accompanied by an adult. Click here for the Apollo Victoria Theatre seating chart and seat price guide.